What Is Toxic Black Mold And What Are The Symptoms Of Black Mold Exposure? Black mold has enjoyed a wave of recent publicity following several high-profile multi-million dollar lawsuits. Dubbed toxic black mold by the media this exposure has done a lot to make the public aware of the health risks of black mold exposure and poor indoor air quality on humans. Black mold is an asexually reproducing fungi from the genus Stachybotrys. There are about 50 species of this mold and it is widely distributed, however Stachybotrys chartarum is the species most often referred to as toxic black mold. Stachybotrys feeds on materials that are rich in cellulose such as wood, paper and drywall. Add water, temperatures above freezing and a suitable source of food and you have a potentially lethal cocktail. What makes Stachybotrys so dangerous, and the focus of media sensationalism is the strong mycotoxins it produces and their ability to make humans sick. Media sensationalism aside, black mold is by no means the only species of mold that makes humans sick, nor is it the most common. Overall there are about 80 other types of mold that have been identified as health risks. In truth if you can see visible mold or smell its musty aroma you have a health problem that needs to be dealt with. All molds are not bad of course. They are a necessary part of the environment and our ecosystem helping to decompose organic matter. Imaging what would happen if there were nothing to break down falling leaves for example. When mold feeds it gives off mycotoxins to prevent other organisms from moving in on its food supply. This is all fine and good outdoors. The problem begins when mold begins to grow indoors. Not all of these mycotoxins have been studied thoroughly but the adverse health effects of mold exposure are well documented. It might surprise you to find that this ability to produce mycotoxins is what gives antibiotics like penicillin their ability to kill bacterial infections. It might be even more surprising to find that penicillin is a common household mold known to have an adverse affect on human health. When viewed in this light it is easy to see how black mold can negatively affect health. Because of the extreme pathogenic effects of black mold it is important to begin black mold removal as soon as possible. If the affected areas are larger than about 30 square feet a mold remediation specialist will most likely be required. For smaller areas it may be possible to remove the mold yourself provided you wear the proper protective clothing. The biggest danger with DIY mold removal is spreading the infection by not properly sealing off the area and not disposing of infected materials properly. 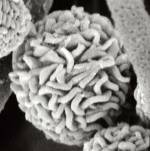 Exposure to mycotoxins produced by Stachybotrys chartarum can have a wide range of health effects. A lot depends on a persons sensitivity to mold and their overall health in general. The length of exposure to black mold and the amount spores present in the air that are inhaled or ingested are also a factor. Symptoms of black mold exposure can be chronic fatigue or flu-like symptoms. Respiratory problems such as coughing, sneezing and runny nose can be present. Black mold exposure has been linked to asthma and sinusitis. In severe cases of prolonged black mold exposure or in individuals with mold allergies symptoms can be can be much more extreme including nausea, vomiting, and internal bleeding in the lungs and nose. If you are experiencing any of the above symptoms of mold exposure like unexplained fatigue, colds and coughs that don’t go away or an increase in asthma attacks you may be suffering from black mold poisoning. Inspecting for black mold is therefore the critical next step. If you find visible mold or smell a musty odor, it is likely a mold problem is affecting your health. But be aware that signs of mold infestation are sometimes hidden and hard to detect if you don’t know where to look. The problem is not just caused by growing mold. High concentrations of spores being circulated throughout the house by the HVAC system are just as likely to cause problems. All mold growing indoors is unhealthy regardless of whether it is actually black mold or not. Therefore, if you suspect a mold problem is affecting your health, it is imperative to perform a mold inspection. It would be a big mistake to assume black mold is the only type of mold you need to be concerned with.